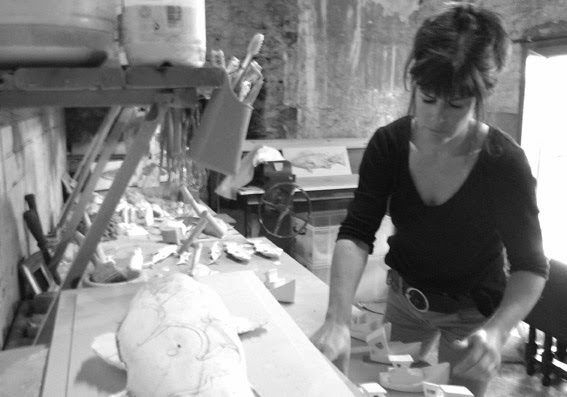 I was born in Australia and grew up on the South Coast of Britain moving to London to study ceramics at Central, St. Martin’s School of Art and Design. I then completed an MA at UWE Bristol in Making and Archiving. Currently I work in my studio in Ilfracombe, North Devon where the working harbour, history of smuggling and dramatic coastline have an increasing influence on my work. Some pieces begin with found objects and the questions that they throw up. Exhibitions include: My work is currently on show at galleries throughout Britain. Studies: BA (hons) Central St. Martin’s School of Art andDesign, MA (with distinction) Making and Archiving, UWE, Bristol.